Exciting news from Pegeen! 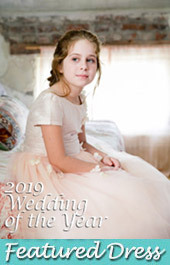 Now you can add a color to your flower girl dress in the form of color for only $20 more to styles that would only include white or ivory choices. 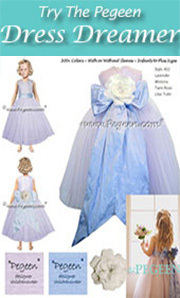 You have to choose a dress that already has organza or tulle on top to be able to change a color. 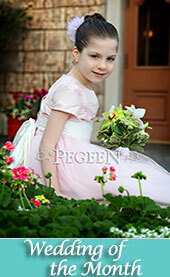 For ideas - go to our Girls Tulle Dresses page (click). 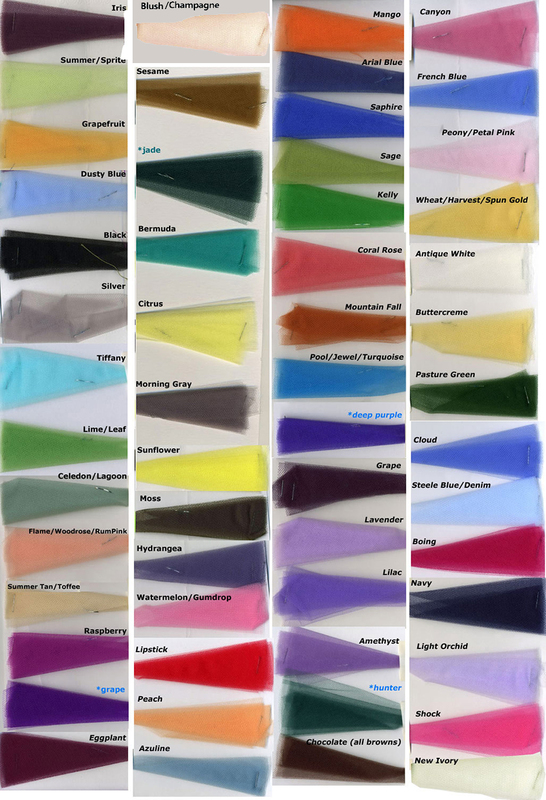 Sorry, we can not send a sample of tulle colors for many reasons. First, with our silk the fabric swatches we use to send to you are the scraps that end up on the cutting floor. That is not the case with tulle and we would have to cut into our straight pieces and that would NEVER be a good idea. Second, tulle is very thin and therefore you cant really see what the colors are like withou our special layering. 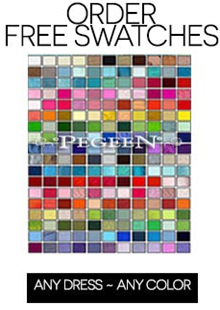 Colors below that match our colors of silk are indicated by the same name and a color asterick!